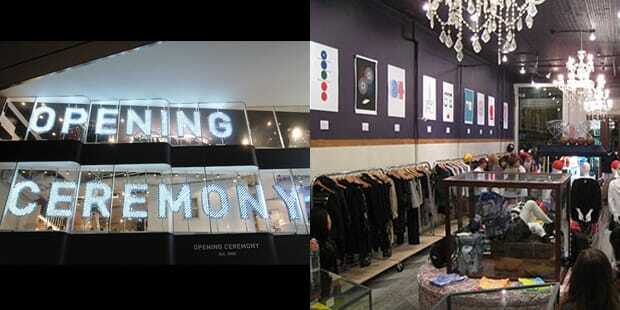 Opening Ceremony started in 2002 as a place to get weird fashion stuff in New York. It has ascended to a cultural powerhouse that can bring brands up to the top, or back from the dead. In addition to it's three locations (NY, L.A., and Tokyo), Opening Ceremony has an in-house brand and a showroom where it sells several lines. If a product is in Opening Ceremony, it is cool. Opening Ceremony's newest Tokyo location, opened this summer, is an 8-level conceptual department store mini-mall. That is a lot of stuff.